Can you believe it is already the end of May? 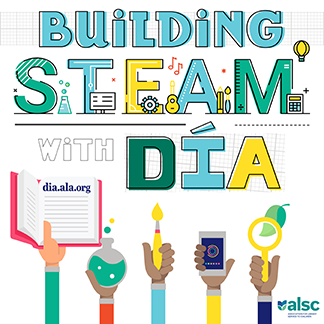 Between summer reading preparation, end of the school year classroom visits, outreach, collection weeding, programming, and preparing for my library to join a new consortium-the past few months have totally flown by! 2017 so far has seen some stellar new graphic novel publications and throughout the past few months I’ve encountered some standout titles. As we move forward into the month of June and the beginning of summer, I’ve rounded up some of my favorite new releases of the past few months below. Check out my top picks to freshen up your graphic novel shelves for all your summer readers! Secret Coders: Secrets & Sequences Written by Gene Luen Yang; Illustrated by Mike Holmes. Another awesome addition to the Secret Coders series was released in March and it does not dissapoint. Blending sci-fi adventure with computing and math concepts, this book is a stellar choice for middle grade readers. Keep your eyes peeled for Book 4 which is slated to be published in October and is sure to be a high-demand title. 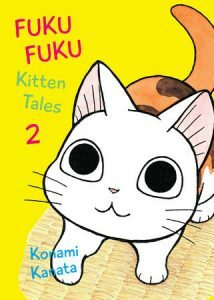 FukuFuku Kitten Tales: 2 by Konami Kanata. Adorable kitties return in the second volume of this awesome series. Fans of Konami’s other cat focused comics series, Chi’s Sweet Home, will surely devour this latest installment of FukuFuku as well. This is a perfect choice for readers searching for a lighthearted, fast read with a high cuteness factor that will appear to a variety of ages. One Trick Pony by Nathan Hale. Hale really nailed it with this wonderfully original stand alone title! One Trick Pony combines the best elements of science fiction and adventure to give us an exciting story about a girl, a robotic horse, and some creepy alien invaders that will keep readers on the edge of their seat until the final pages. Fish Girl by David Wiesner and Donna Jo Napoli. 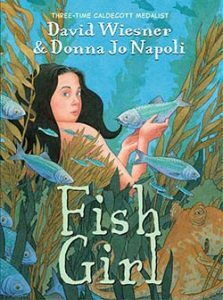 A truly ideal display of combining strong writing with vibrant artwork, this thought-provoking story about a young mermaid kept in a boardwalk aquarium attraction will be treasured for years to come by middle-grade readers. Bird & Squirrel on Fire by James Burks. Best friends Bird and Squirrel are back at home in the forest in this new adventure that will provide laughs, gasps, and even a few heart-warming moments- all displayed in bright colors and easy to read panels. 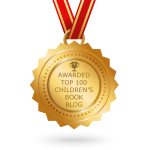 A fun choice for emerging independent readers and tween readers looking for something a bif goofy. What are some of your favorites that have been released so far this year? What is flying off your graphic novel shelves? 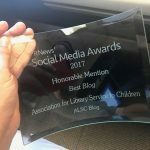 I hope you enjoy my picks and happy reading!